Sky Vegas has launched yet another compelling reason for keen slot players to sign up for the site. The Sky Vegas Jackpot King is a prize draw promo taking place every week throughout the month of February which will give out a whopping 10,000 free spins. This weekly draw can be entered simply by staking £20 on one of the hugely popular Jackpot King collection of linked progressive-jackpot slots. Keep on reading to find out why you should get involved with this offer today. During this promotion, a total of 10,000 free spins will be given away to 1,000 lucky winners. And the best part? All cash rewards won with these free spins come as real money- that means there are no wagering requirements attached. Click to Play Now at Sky Vegas Get £10 free no-deposit bonus + 200 Points! 18+. New customers only. T&Cs apply. If you’re a fan of Deal or No Deal the TV show, and love watching massive amounts of money being won in Noel Edmond’s ‘Dream Factory’, you’ll love having the chance to live out the dream yourself in Deal or No Deal: What’s In Your Box? This five reel, 20 pay line slot by Blueprint Gaming is filled with just as much high-quality gameplay and exciting action as the show itself. In addition to some brilliant base gameplay where you could win a top payout of 500X your original bet, Deal or No Deal also has plenty of bonuses on offer. It’s easy to see why Ireland is such a popular setting for slot games. After all, the culture of the Emerald Isle is steeped in lucky traditions, from shamrocks to rainbows complete with pots of gold and lucky leprechauns. 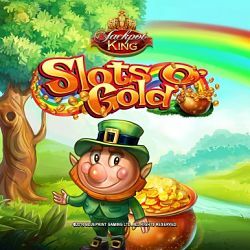 Slots o’ Gold was the second release in Blueprint Gaming’s Jackpot King collection and has fast become one of the most popular games around. 10 fixed pay lines are set before a rural, Irish countryside backdrop and filled with symbols such as pints of Guinness, pipes, toadstools, Celtic harps and tricorn hats. If you love this theme then you’ll definitely be tapping your toes to the upbeat Celtic folk music which plays in the background. There are no free spins up for grabs in Slots o’ Gold, but there are still some generous features to play for including Rainbow Gold, Leprechaun Wilds and Rainbow Respins. All of these extra games hand out great prizes. King Kong is, of course, one of the most iconic and classic movies of all time. Now the monstrous monkey has been given his own slot game. Launched by Blueprint Gaming in July 2016, King Kong Cash is set deep in the jungles of Skull Island and stands out for its impressive artwork and many lucrative bonus features. This is a five reel, 20 pay line game which can be played for as little as 20p or as much as £200 per spin. There is a jaw-dropping 10 bonus games on offer in this slot, which are triggered whenever three or more King Kong bonus symbols show up on the reels at once. When these symbols appear and the bonus kicks into action, a rickety wooden ladder will appear on the screen. The more bonuses you play your way through, including King Kong Trail, Empire Free Spins and Big Monkey Bonus, the higher up the ladder you will climb. If you manage to make it to the top of the ladder, you will receive a massive cash prize. 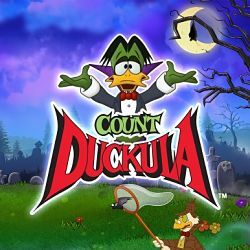 Count Duckula was a spooky kid’s cartoon way back in the eighties. If you can remember this popular show, you’ll be delighted to see it is making a comeback in the form of a high-paying, action-packed Blueprint slot. This five reel, 20 payline game can be played for between 20p and £500 per spin, making it suitable for just about every type of gambler and their budget. Then there is the Duckula Wall of Fame which allows you to pick from five even more generous bonuses. Keep an eye out for the Dr Von Goosewing Free Spins feature which dishes out 10 free spins with sticky wilds to boot. So, now we’ve covered the slots you have to choose from, you’re probably eager to get involved with this 10,000 free spins giveaway. Deal or No Deal – What’s in Your Box? As soon as you have spent £20 of real money on one of these games, you will be automatically entered into that week’s prize draw. There will be a total of four draws throughout February, each taking place at midday on Wednesday, which means you have four chances to be named a winner. It’s important to note, however, that each player can only earn one entry per-week into the draw. All registered members of Sky Vegas are welcome to take part in this promotion. Players must opt in and stake £20 on one the slots listed above, to be entered into the prize draw. It is only possible to earn one ticket into each week’s draw. Winners will automatically play their 10 free spins on the first slot they load up from the list of eligible slot games.